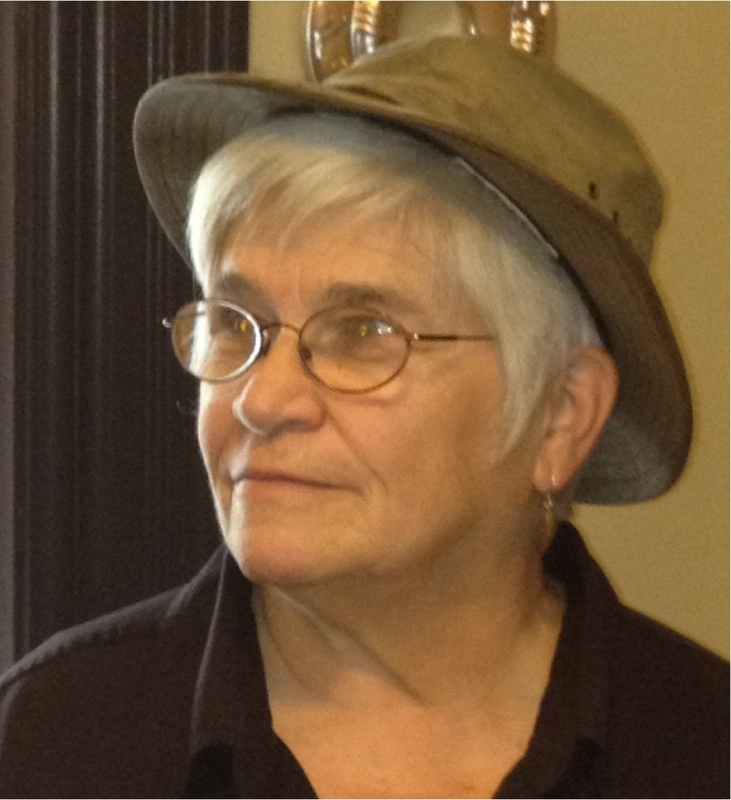 Kate Fadick worked for over 25 years as a community organizer and advocate for social justice in rural Appalachian communities and urban neighborhoods. She lives in Cincinnati and now considers her day job as that of "poet." Her work has appeared in Appalachian Connection, Pine Mountain Sand and Gravel, For a Better World (anthology of poems and drawings around the theme of social justice), A Few Good Words (Cincinnati Writers Project 2012 anthology), and Buddhist Poetry Review. As mentioned in my review of Slipstream, I met Kate Fadick at a monthly meeting of The Greater Cincinnati Writers League, a poetry critique group that's been in existence for over 80 years. I began to see more of her at local workshops, poetry readings, and eventually at The Cincinnati Writers Project's poetry critique group. Her poems intrigue me, with their brevity and yet their wealth of suggestion, haiku-like poems that expand with meaning—poems you want to read many times. When Finishing Line Press accepted her chapbook, I was excited that these richly nuanced poems would be available for others to enjoy. Kate, I want to start this interview off by congratulating you on SLIPSTREAM, your debut poetry chapbook, and by saying how much I enjoyed working on the review and interview—revisiting these lovely, thought-provoking poems. I know you began writing poetry later in life. Did you read poetry for years before you began writing it? What led you to first start writing poems? And have those reasons changed over time? KF: I began writing poems as a third grader. I still remember my teacher’s name—Miss Belle McGaughey—and the actual mimeograph book she created of several poems I wrote while in her class. A few years later I entered what was to become a long silence, writing occasionally, but rarely showing what I wrote to anyone. It was in my 50’s that I began to call myself a poet and call writing my “work." Writing, for me, has to do with the way I want to live my life; it’s a way of paying attention, of “showing up." One of the things I admire most about your poems is how rhythmic they are, through the use of assonance, alliteration, and internal rhyme. I know you were once a member of Muse, Cincinnati's women's choir. Do you feel there is a connection between that and how your poems are so rich in sound and rhythm? KF: That’s an intriguing question. I haven’t thought of the crafting of poems in that way, but now that you mention it, I realize that the physical act of writing a poem is very much like musical notation for me. I hear my poems before I write anything down….often find myself speaking them aloud as I drive somewhere or cook or lay in bed sleepless. And then, as I write them first with pen and paper followed by using my laptop, I continue to “speak them," adding and cutting words as I go. You have a skill for breaking lines at interesting points, really working line breaks to add layers of meaning to your poems. I’m curious if that’s something that comes naturally to you, and/or if you studied particular poets who excel in that area? KF: The line breaks are a part of the musicality of the poem. Like the rests in a piece of music, the line breaks open up a space in the poem. They help expose the layered images, inviting the reader into the heart of the poem. They do come somewhat naturally for me—being a singer has something to do with it, I suspect. I do pay attention to what other poets do with line breaks—Kay Ryan, W. S. Merwin, Li-Young Lee, Lucille Clifton—to name a few. I’m fascinated by several of the poems in your chapbook that have no punctuation, such as “yesterday in a forgotten box,” and “This is Enough;” and how you use line breaks to reveal meaning and/or unfold the story. Is this a decision from the beginning of a poem’s genesis, or is it something that surfaces during later revisions? And can you describe what about a poem makes you want to shape it that way? KF: Early drafts are usually punctuated. It’s when I begin to cut words and lines that I take it out. When the poem is really right, I find that punctuation would get in the way of its natural flow and wind up removing it all. I find myself using punctuation less and less as my work continues the transition from narrative to more lyric tone begun with some of the pieces in Slipstream. Your poems often contain an element of ambiguity that results in a sense of mystery that keeps me thinking about them long after I’ve finished reading them. I believe that’s a choice you made. Can you explain why and what you hoped to accomplish through allowing for multiple interpretations, or various levels of meaning, in your poems? KF: I think the ambiguity is there because, as Merwin is fond of saying, and I paraphrase—poetry is in some sense about what can’t be said—about those places in our experience when words fail us. I write poems about what I don’t know and in the writing am led to some understanding of some part of my life that hasn’t been attended to. And I hope the ambiguity, the mystery, pulls the reader into some part of her or his experience that is as yet unspoken. Are you writing for a particular audience? What do you hope your readers come away with from your poems? KF: I really don’t have a particular audience in mind. It can be discouraging to realize how few of the people in my life read anyone’s poetry, let alone mine. I think it safe to say that in this country, relatively few read a substantial amount of poetry. So, I’m thrilled to hear people talk about the poetry they do read; and if it’s mine they happen to talk about, I hope they are coming away from the poems with more questions than answers. The bio on the back of your chapbook says “…you worked for over 25 years as a community organizer and advocate for social justice in rural Appalachian communities and urban neighborhoods.” Did that have any impact on your becoming a poet, and/or in what you choose to write about? KF: That work was about making a different world more likely, a more just world, a less violent world, a more sustainable world. I think poetry can help us continue to hope in such possibility when only the opposite seems likely. So many of the poems in your book abound with birds, insects, animals, flowers, trees, gardens, bodies of water. Why is the natural world important to you, and what do you see as its role in your poetry? KF: Gary Synder says that humans are nature. My poems seem to reflect that—at least I hope they do. We can’t live well without that intimate, mutual relationship with all that is other than ourselves. Close to home for you and me is the mountain top removal that bears a grotesque witness to the lack of mutuality with nature. One of the poems I didn’t mention in the review of Slipstream is “Welcome the Stranger,” which reveals the integral connection between the woodpecker and the saguaro cactus it makes its nest inside. What was the inspiration for this poem? Did you see such a nest in person, did you read about it, or learn about it in a documentary? KF: “Welcome the Stranger” came out of a visit with friends in the Southwest. They have an adobe in the desert, and it was there I found a saguaro boot, as they are called. I had never seen one before, and after my friends told what they knew, I “googled” and learned more. The poem is about the connections between the woodpecker and the cactus, as well as the human connection to what goes on in nature. I hope the poem also speaks to our response to other beings. 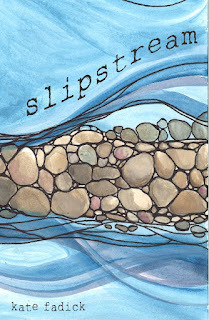 Do you have a favorite poem/poems from Slipstream and why? KF: The poem we’ve just discussed is certainly one of my favorites because it is for me a very personal poem written in such a way that no reader has to know the backstory. I’m tending toward that more and more with my work. “Eve Before Surgery” is another like that. Tell us about the writer groups you belong to and how they’ve contributed to your poetry. Do you have any suggestions for poets concerning critique groups? KF: I’ve been a member of Greater Cincinnati Writers League for several years and the poetry group of the Cincinnati Writers Project for two or three. They are very important to my writing in a couple of ways. They are each in their unique way a connection to other poets in the area and their work. And, they are places where early drafts get a hearing and a critique that always leads to a stronger poem. Mary Oliver talks about the solitary act of writing, that eventually one has to sit down and do it. I agree with that. However, it is good to have companions along the way to that solitary place. While critique is necessary for my writing, in the end I make the decisions about the poem. I like making informed ones. Who are the poets that most influenced you and/or whose poems intrigued you most? KF: It’s hard for me to think in terms of whose work intrigues me most, or even who favorite poets or poems are for me. It’s usually the ones I’m reading at any given time. Right now you’d find in various reading spots around my house Mary Oliver (always someplace), Merwin, Langston Hughes, Nancy Willard, Jane Hirshfield (always someplace), Mark Doty, Jim Harrison, Anne Carson, and others. KF: I’m working on another chapbook of pieces many of which began with walks in Cincinnati’s Spring Grove Cemetery…working title is “surrounded by weary angels." I’m also working on a short cycle of 6-8 pieces which I think will have a spot in the collection. They are series of self portraits as a woman with whom I sense some connection. For example, “Self Portrait as Hildegard of Bingen." Listen to a WVXU "Around Cincinnati" radio interview to hear Fadick read "Slipstream," "Artisan Bread," "This Is Enough." Karen George lives in Northern Kentucky. Since she retired from computer programming to write full-time, she has enjoyed traveling to historic river towns, mountain country, and her first European trip. Her chapbook, Into the Heartland, was released by Finishing Line Press in 2011. You can find her recent and forthcoming work in Memoir, The Louisville Review, Border Crossing, Permafrost, Blast Furnace, Kudzu, and The Heartland Review. I first met Kate Fadick as a fellow member of the Greater Cincinnati Writers League, a poetry critique group that has been meeting monthly for over 80 years. Eventually she also joined the bi-monthly poetry critique meetings of the Cincinnati Writer's Project, which I also attend. When Finishing Line Press accepted her chapbook late last year, I was delighted when she asked me to write a blurb for the back of it, and excited that these richly nuanced poems would be available for others to enjoy. The poems in Kate Fadick's Slipstream delve into life's dualities and contradictions. They vibrate with intimacy and compassion seasoned with nuanced awareness of the natural world. The chapbook gets its name from the centrally-located title poem. A "slipstream" is an airstream generated by a fast-moving vehicle, such as an eighteen-wheeler, that creates a suction which can pull you along with it if you're in a spot behind and slightly to the side of the vehicle. These poems are pulled along in several ways in this tightly-woven chapbook: by theme, by emotional intensity, and by various aspects of Fadick's poetic style. Slipstream explores themes that occur in most people's lives at one time or another, things we often have no control over such as aging, illness, death, murder, grief, worry, disconnection, and misunderstanding paired with motifs of connection, solace, reflection, peace, hope, birth, joy and celebration. the spring tonic she swore by. The above lines are so evocative with the repeated image of digging into the earth and turning the soil over again and again in a literal as well as metaphoric sense in which we perceive the narrator trying to turn the girl's murder over, release it, and ground herself with her connection to the natural world. This beginning poem effectively mirrors the chapbook's central, elegiac poem, "Slipstream," in which the poet doesn't get to Mississippi in time to see her mother before she dies, but later releases her ashes into the Gulf waters. In the poem's center she says she's "pulled by water toward some place/I've never been" which suggests she may never have been in a boat on the Gulf waters, and she's never been without a mother before now, even though they've been separated by distance. The "Gulf" echoes the suggestion of a physical and metaphorical distance. The poem ends with a lovely image of release: "I lean over/the boat's edge, open the small gray box,/shards fly out, settle into what she loves." The release of ashes can be seen in a literal and metaphorical sense of a daughter releasing her mother, of beginning the process of letting go on various levels, creating a sad yet peaceful feeling, a sense of a process beginning, a process in motion. The "she loves" not only gives a sense of the mother going on, by the poet's use of the present tense, but there is such a reverential sense of honoring, and acceptance in the phrase "settle into what she loves." The word "settle" creates a double image of her mother's ashes settling in the water, and the poet settling into the process of letting go. The beauty and expansiveness of the natural world depicted in the above lines contrasts effectively with the limits and liabilities of the human body. The "standing up rocks" and the "more/ alive the formations" eerily echo the tumors. And "where they hid/before surrender" refers to the Apaches, but also fits with the idea of escaping, hiding from the future surgery until you have to surrender to it. There are many what I call "connections" in this poem, so many layers of meaning, which occurs again and again throughout this chapbook, part of what makes it so rich, so unforgettable. This poem also creates a feeling of intimacy with the second person use of directly addressing a "you" that draws the reader into the poem, a technique also used in other Slipstream poems. Many hummingbirds die in their sleep. to my feeder has not been seen for a week. limbo into the race to taste red sweetness. Italicizing the first line suggests a thought, or someone having said the words, or a quote from somewhere, perhaps the memory of hearing it said during some documentary. The italics give it emphasis, a kind of power, mimicking the narrator's hypersensitive state, worried and at the same time trying to soothe herself by thinking about how the hummingbird dies every day and comes back to life every day, how "death defying" it is. And yet the poet is also worried about the particular hummingbird that's been to her feeder every morning, that hasn't appeared in a week. Her worry over the hummingbird echoes her worry over the impending surgery so beautifully. The hummingbird's "shallow/limbo" effectively echoes the state of anesthesia the person will undergo during the upcoming surgery. "The Eve of" in the poem's title works powerfully because you usually think of the "Eve" in regards to anticipating something good like Christmas Eve, so the contrast works well here. The poem's form is beautiful–three couplets of the same length that create a pleasing symmetry–another stylistic component in other of Fadick's poems. The poem's last phrase, referring to the hummingbird, "the race to taste red sweetness" also suggests blood, the fluid that carries our life. The poem's long "e" sounds in "Eve," "sleep," "remember," "realize," "feeder," "seen," "week," "defying," "sweetness," the long "a" sounds of "faithful," "fairie," "race," "taste," accompanied with the long "o" sounds of "shallow" and "limbo" create a powerful rhythm, mirroring the sounds of a lament, and a hum or a beat like the hummingbird's wings. Fadick's use of alliteration and assonance is another unifying element that threads throughout Slipstream, as seen in her poem about grief, "Compline," with its long "a" vowel sounds of "pain//fierce rain then gray calm" that create a powerful sense of keening that effectively contrasts with the tender image of "monks/singing softly" at the poem's end. I found this poem intriguing with its many layers. It has no punctuation and no capitalization, not even in the title. Each line can be read by itself, or it can be read as continuing into the next line. For instance, in the first stanza, "wind and light dancing" can be taken by itself. It's a complete image, and yet you can continue to read as in "wind and light dancing/the rhythm of grief strong," comparing the rhythm of grief to the rhythm of wind and light dancing. Many of the lines work in the same way, to be read and interpreted in several different ways. It amazes me how the poet does this. It creates a very natural flow, echoing the kind of flow that can occur with grief. The storm in the poem works both literally and metaphorically, mirroring the tumult of grief, how it can take you over so completely. In the poem "Prognosis" the phrase "Relentless needle points" with its long "e" sounds, creates the effect of fingernails on a chalkboard, and you can feel the tension and unease in them, along with the tension created by the phrase "cats pacing." The needles suggests the pain of the person whose prognosis it is, whatever treatments they might be going through, as well as the pain of the narrator. The long "a" sound of "Today is all gray" gives us this feeling of sadness, of longing for something positive, some better outcome. "Rain" and "pacing" continue the lament sound. Then Fadick uses a very effective stanza break, followed by an action on the part of the narrator: "I go for a walk." We get a sense of relief, of at least doing something, taking the next step forward, literally and metaphorically. And what does she see but "crocus tips," an image of hope, of beauty, of something growing. It's an important detail that the crocuses are "in mud," which suggests the mess, the confusion, the fear, the muck that this prognosis brings about. In contrast to the long "a" lamenting sounds, the last line ends with the short "u" of "crocus" and "mud," a much lighter feel, echoing the crocus image. Besides the connection to the natural world that appears in many poems, there are also many poems that deal with connection and disconnection between people. "Between Strangers" and "The Misunderstanding" deal with disconnection–one person giving a gift to another person, and that person not receiving the gift with even a modicum of gratitude or grace. In "Between Strangers" the narrator, in a local grocery she often visits, has a pleasant conversation with an employee who mentions he's been hunting unsuccessfully for an ethnic dish for his Sunday dinner. The narrator finds the item in a bakery down the street, and buys it for him, "Pleased at the thought of such a surprise," but when she gives it to him, "He asks why...insists I take money, pushes/bills at me, both of us wary now//of kindness." Similarly, in "The Misunderstanding" a young artist "buys sunflowers/fresh, not for herself,/but for those she/passes on the street," but the last one she gives to a woman who "asks Why do you give/me a dead flower?" But in this poem's last stanza, the artist's resilience surfaces. She paints the woman's face on a paper napkin when she gets home. This is such an evocative image that Fadick leaves the reader to interpret as they like. Maybe the artist is processing what happened by painting, wondering what the woman's story is, mulling over why she'd interpret the gift the way she did. By painting on the napkin, she could be doing the preliminary work, for a full-blown painting she later will do. She might not have enough money for art supplies right now, and so settles for this simple portrait with what's at hand (leftover coffee and a paper napkin). Or she might, after completing the paper portrait, crumple it and throw it away, and empty the coffee down the drain–exemplifying the impermanence of life. You could also think about this young artist turning this woman's reaction into art, as many artists do, whether painters or poets, creating something beautiful out of something troubling. The title leads me to interpret that the woman's reaction to the gift is just a misunderstanding. In the last stanza, the internal rhyme and assonance of the soft "i" sound in "dips," "into," "in," "morning," and "napkin" and the combination of "brush" and "rush," "paints," "face," and "paper" create such music that suggests the young artist restoring herself–a very effective ending. Another poem that features the motif of connection to others is seen in the poem "Souvenir from Acoma," where the narrator buys a handmade pot as a souvenir of her visit to Acoma. When I first read the poem, I wasn't familiar with "Acoma," so I researched to find that it was a Pueblo Indian village near Albuquerque, New Mexico, built on a sandstone mesa, described as "the oldest continuously inhabited location in the U.S." I don't mind looking something up about a poem. Learning something new, as a result of a poem, is an added bonus for me. I love how the phrase "a fragile cocoon," while it literally refers to the clay pot the woman is caressing, could also refer to the woman. Aren't we all just "fragile cocoons"? It's masterful how the poet gives us very few details about the woman. She "squats in the adobe door," her "callused fingers caressing the clay" and yet through these details, she comes to life. "Callused" contrasts effectively with "caressing," as does the pairing of "fragile" with "bold black lines." Similarly, the poet provides short, concise, but evocative descriptions of the pot: "a cat's cradle" and "sienna diamonds/floating." The connection or exchange made between the woman who made the pot and the woman who buys it is heightened by the emotional intensity of the buyer's longing revealed in the phrase "I am hungry/for her miracle." The poem's form also enhances the idea of appreciating something beautiful–a symmetry created by two couplets framing a tercet. This poem is a good example of how Fadick's poems are both spare and dense. They expand and vibrate with meaning. "Hagiography" is another poem about connections, an appreciation of beauty found in the natural world, and the importance of memory. The World English Dictionary defines "hagiography" as "the writing of the lives of saints" or "any biography that idealizes or idolizes its subject." This poem resonates with emotion that arises from life's dichotomies of happiness and pain, sadness and the balm of memory. It's an elegy written in a gentle, intimate tone, addressing a deceased friend, Joe, as "you." It narrates how Joe used to tell the story every October of how he saw "Three deer at woods' edge" when he was "out for a run," and how the doe "came to you, licked the salty sweat from your palm." I love the echoing effect created by the poet telling us that Joe told the story every October, and I can feel what a delight that retelling must have been for him and his listeners, and how the poet with the poem takes on that retelling, thus continuing Joe's October tradition. The couplet form works well for the pairing of past and present, the original experience and the memory of it. There's so much music in the opening, "Three dear at wood's edge, evening sun's slant..." and in the ending, "I grieve you still in the smells of earthy dusk, wonder/why..." The haunting end of the poem "I...wonder/ why you found your gentleness such a surprise" made me think about how each of us views ourselves versus how others view us. Another repeated motif of Slipstream is how the cycles of human life are mirrored, or seen against the backdrop of, the seasons in the natural world. For instance in "Her Death," the rhythm of the cicada's life cycle is paralleled with the nearing end of a person's life. In the contemplative poem "yesterday in a forgotten box" the poet describes the passing of time as "the bleed/of one year into the next" as she climbs a ladder to put away Christmas decorations. This image of time bleeding is accentuated by the poem's lack of punctuation–one line bleeding into the next. At the poem's center is the line "I wonder" which begins the turn of the poem, where she thinks about "how many times/I will climb this ladder," a perfect image for the up and downs of time, the cycle of one season to the next. She thinks about the fact that her hands are the same as the hands of the child in the picture she discovered in the forgotten box. This image of the child paired with the adult emphasizes the duality and circularity of life that echoes through many of Slipstream's poems. I like that we don't know specifically why the narrator is looking for something hopeful, because it adds to the universal human need that the poem addresses–the need to have hope, or at the very least, the hope of hope–the belief in the possibility of good things to come. In stanza two, we not only find that she's discovered a story of hope, but hope that "rests on such tiny shoulders/...One of two few/spotted owls within earshot/of rampant logging." I appreciate how unobtrusively the poet slips in the phrase "within earshot of rampant logging" which suggests a reason for the spotted owl's plight, being is more educational than it is preachy. This idea of finding hope in such tiny things echoes earlier poems where in the midst of illness and death the poet turns soil in her garden, sees "someone/practicing Tai Chi," watches "junco birds/discover the flat pan of seed," "the delay of the work/to be done," "supper simmering next door," seeing "the yellow finch circle/the coneflower," or "crocus tips in mud." In "Advent in Grouse Mountain" scientists have created the owl's "fur and cedar cage" and "offer her five/brown mice each day of winter's wait...in case/she is the blessed one to birth another/and then another." The repeated "ur" sound in" fur" and "cedar" creates a lovely, soothing sound that rubs against the hard sound of "cage." The "blessed one" in the last stanza dovetails beautifully back to the poem's title "Advent in Grouse Mountain." "Advent," in Christian terms being the coming of Christ into the world, echoes in this poem' s much anticipated birth, just as sacred. It's also effective how the promise of the owl giving birth echoes the poet's giving birth to a poem, the poem being the nest the poet has created to hold the hope of the owl's story. nibbles grass in the winter sun. The poem ends on a hopeful note. Antonio and the prairie dog are thriving, for now at least. I like the subtlety of the poem's title, "Nativity," which suggests the holiness of Antonio's birth by using a term that echoes the birth of Jesus. I love the ambiguity of these above lines, partly created by the lack of punctuation and the interesting line breaks–another of Fadick's strengths. These lines repeat the chapbook's motif that the beauty of nature provides comfort and healing, as well as the theme of how working in soil, planting and caring for something in the garden, brings us hope and joy. The repeated theme of connection plays out beautifully in this poem with the sight of a young girl planting that brings forth the memory of the poet's own childhood of planting, so that we also have a connection between the past and present, along with the declaration of hope that "this is enough/to save the world." I believe the poet is saying that connection to each other and a connection to the natural world are capable of saving the world. 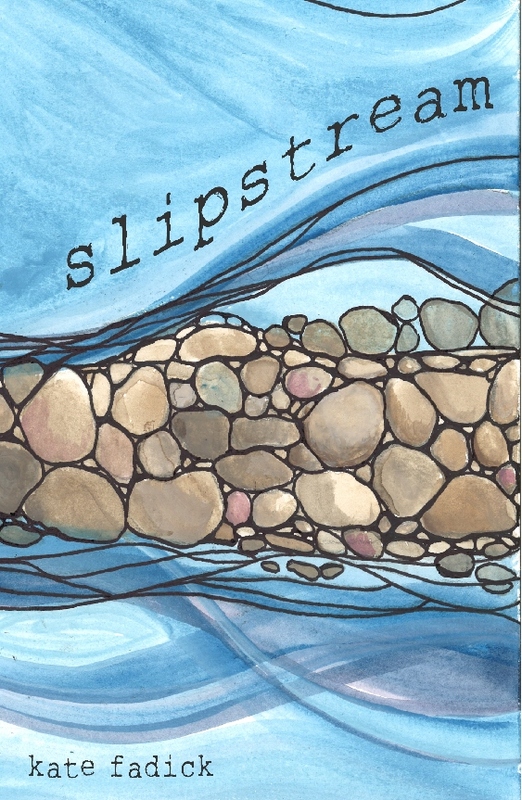 Although Kate Fadick's chapbook, Slipstream, handles the difficult subjects of aging, illness, death, mistrust and misunderstanding, it also celebrates birth, growth, memory, place, and connection. So many poems resonate with unrepressed compassion and hope. It's important that the invitation to "take a closer/look" lies at the last poem's center. All of the poems in this chapbook echo this invitation to pay attention, to "take a closer look" at this beautiful and heartbreaking world in which we live.